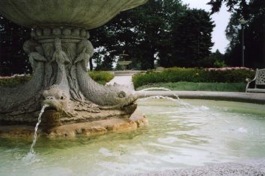 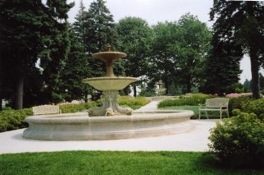 Dedicated in 1964, the Schneider Memorial Fountain was donated by family members in honour of the late John Metz Schneider, founder of the J. M. Schneider meat packing plant in Kitchener, and his wife, Helena. 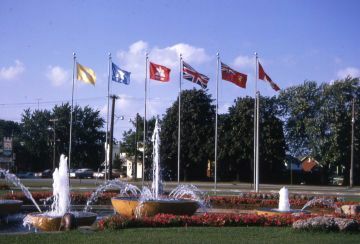 As a Canadian Centennial project in 1967, the Society erected flagstaffs for six flags which are flown year round. 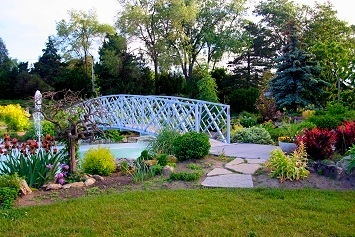 New for 2005 at Rockway Gardens is a pedestrian bridge spanning the central pond enhanced with attractive landscaping. 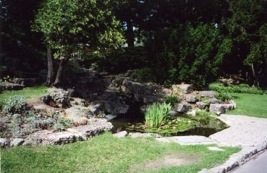 The bridge project received a grant from the Kitchener-Waterloo Community Foundation and a generous donation from the Kitchener Lions Club. 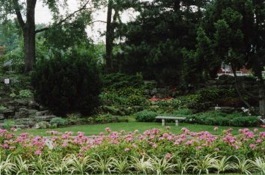 The citizens of Kitchener can be justly proud of Rockway Gardens, a visual delight for both local residents and visitors for over seven decades. 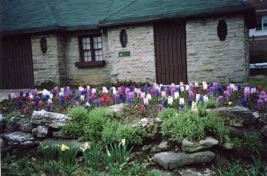 History of the Kitchener Horticultural Society, by H. W. Brown, Annual Volume, Waterloo Historical Society, 1938. 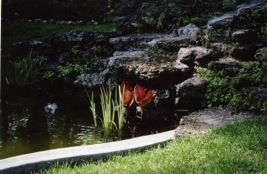 Rockway Gardens - First 50 Years 1933-1983, by Orval Ritz. 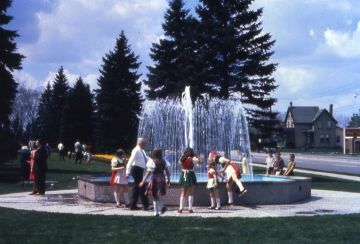 Annual Volume Waterloo Historical Society, 1983.